Hoarding is a serious issue that affects many people throughout the Unites States as the behaviors that result from hoarding disorder can create dangerous living conditions inside the home. Hoarding is considered a mental disorder that is related to more complex anxiety disorders and the most common behavior associated with hoarders is the refusal to dispose of any item regardless of value or whether the items are necessary. As the collection of hoarded items grows, it can block off areas of the home, contribute to fire risks, and lead to unsanitary living conditions by harboring mold, bacteria, and other harmful substances. 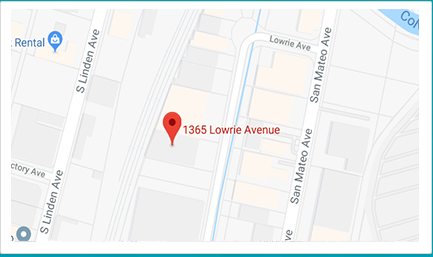 With the proper training, cleaning equipment, and a 60 year legacy of professional cleaning services, ServiceMaster Disaster Restoration and Recovery provides hoarding and estate cleaning to help those in San Carlos, CA that struggle with hoarding issues. We take the approach that was developed by ServiceMaster Clean with the help of Matt Paxton for every hoarding cleaning job to establish a sense of trust and respect with the affected individual. Our equipment and cleaning products allow us to handle minor and severe cases of hoarding and we make sure the individual has control in the cleaning process. Many people that are dealing with hoarding issues are often embarrassed by the condition of their homes and do not want to draw attention to themselves. This makes it necessary for a friend or family member to initiate the cleaning process and help the individual understand that their situation is not embarrassing and that they need help. Our technicians will help remove unwanted items from the home, organize items that are kept, and thoroughly clean and sanitize the entire home. Saving valuable items including money, jewelry, and others. Removal of all unwanted items and debris. Help deciding which items should be kept and which should be thrown away. Help distributing valuable items among friends and family members. Assistance with paperwork from government agencies and lawyers. We handle each hoarding cleaning project with the 3 phase approach that was developed by ServiceMaster Clean in collaboration with Matt Paxton. The purpose of this approach is to establish mutual trust and respect with the individual and give them control over the cleaning process. We attempt to understand the full scope of the problem without entering the home. We create a cleaning plan that is agreed upon by the individual and their family that puts the individual in control. During this stage, we will bring in a therapist or social worker if necessary. We establish a level of trust and respect with the individual before implementing the cleaning process. We form and implement a cleaning plan to guide us through the process. We will clean and organize what is left in the home after removing unwanted items. Unwanted items will be donated, recycled, or disposed of and all donated items will be documented and delivered by our staff. We leave the individual and their family with a cleaning plan to follow in order to keep the home clean. We do a follow up phone call to ensure that the cleaning plan is being followed and if needed, we will return to provide further cleaning services. We put the individual in charge of deciding what should be kept and what should be thrown away to retain an element of control. Hoarding behaviors can lead to some very serious consequences for the individual and their families so if you know someone who exhibits hoarding behaviors, try to reach out to them about getting help. 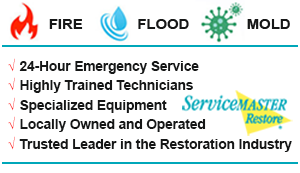 ServiceMaster Disaster Restoration and Recovery takes a respectful and compassionate approach to helping hoarders clean out their homes and we have the right equipment and training to effectively clean up and restore the home after removing unwanted items. You can reach us at (800) 439-8833 to learn more about our hoarding cleaning services in San Carlos, CA area.